This, is Couple Code Therapy! A new twist on learning web development…Where our brave coding expert host, tries to teach his beautiful, lovely, intelligent, and immaculate wife how to update her own website. It’s learning the basics of web development & coding – without being overwhelmed. Hey Friends! This is exciting, In Couple Code Therapy Episode Six My Lovely partner continues using CSS to improve her website look and feel, We'll cover how to style text in detail Including : - Mastering text styling with CSS. - We'll go through all the basic fundamentals of text/font styling in detail, like setting font weight, family and style, text alignment, and other effects, and line and letter spacing. Check out the show notes for more details: couplecodetherapy.com Please let us know how we can improve to better teach basic web development About the show: Couple Code Therapy! 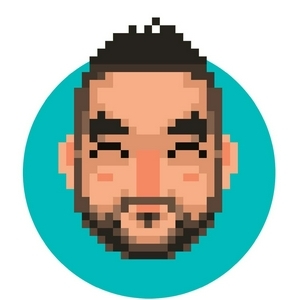 A new twist on learning web development…Where our brave coding expert host, tries to teach his beautiful, lovely, intelligent, and immaculate wife how to update her own website. It’s learning the basics of web development & coding – without being overwhelmed. Hey Friends! This is exciting, In Couple Code Therapy Episode Five My Lovely partner continues using CSS to improve her website look and feel, We'll cover how to style navigations in a website and some layout techniques to center containers We'll cover : How to style navigations in CSS CSS layout techniques Make a responsive containers Check out the show notes for more details: https://couplecodetherapy.com Please let us know how we can improve to better teach basic web development About the show: Couple Code Therapy! A new twist on learning web development…Where our brave coding expert host, tries to teach his beautiful, lovely, intelligent, and immaculate wife how to update her own website. It’s learning the basics of web development & coding – without being overwhelmed. Hey Friends! This is exciting, In Couple Code Therapy Episode Four My Lovely partner Starts using CSS to style some HTML elements, She was so happy that she can finally make her Website more colorful. We'll cover : - How to include CSS in your page - CSS Selector - CSS specificities Check out the show notes for more details. 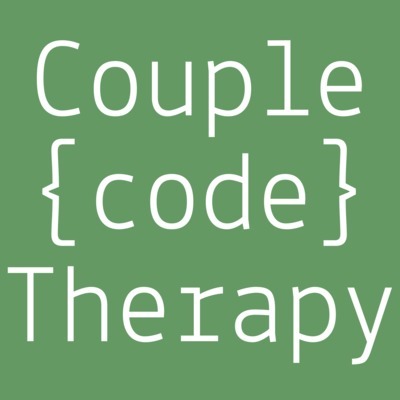 https://couplecodetherapy.com/therapies/getting-started-with-css Please let us know how we can improve to better teach basic web development About the show: Couple Code Therapy! A new twist on learning web development…Where our brave coding expert host, tries to teach his beautiful, lovely, intelligent, and immaculate wife how to update her own website. It’s learning the basics of web development & coding – without being overwhelmed. Hey Friends! This is exciting, In Couple Code Therapy Episode three My Lovely partner builds her own website with just HTML. We'll be using visual studio code as the main editor along with the live server extension to have auto refresh whenever we change something in the website. Check out the show notes for more details. https://couplecodetherapy.com/therapies/build-a-website-with-just-html About the show: Couple Code Therapy! A new twist on learning web development…Where our brave coding expert host, tries to teach his beautiful, lovely, intelligent, and immaculate wife how to update her own website. It’s learning the basics of web development & coding – without being overwhelmed. In this episode, Khaled and Amal Download visual studio code and start writing some Basic HTML, along the way Khaled explains the HTML language and what are the main components.